I’ve got exciting news that can’t wait for next week’s “Writing on Wednesday” post: I just got a publishing deal for my book, Tangles and Plaques: A Mother and Daughter Face Alzheimer’s! It’s a collection of essays culled from eight years of blog posts. I’m over the moon with excitement. But here’s something I didn’t see coming. The publisher is a small, faith-based press (they also publish secular work, and mine really isn’t a “Christian” book) with a pretty loyal readership (they send out regular newsletters with their catalogue), so they asked me to edit out the four-letter words! The funny part is, they don’t even know my husband is a priest. He’s probably rolling his eyes if he’s reading this, although he really likes my novel, Cherry Bomb, which will not be published by a faith-based press. The bottom line is I’m happy to oblige, and I certainly don’t want to offend any potential readers. The publisher is thinking the target audience is baby boomers who are caregivers—at some level—for their aging parents. Or maybe even some of those aging parents themselves. But I hope that younger folks will also read Tangles and Plaques. Maybe it will help some people who might be facing these issues in the future. And evidently that’s a lot of people. According to the Alzheimer’s Association, Alzheimer’s is the sixth leading cause of death in the United States. One in three seniors dies with Alzheimer’s or another form of dementia, and more than fifteen million people provide care to people with dementia. So, I hope the censorship protestors will forgive me for taking out some of those colorful words. Hopefully the words that are left will be enough to move you to tears, laughter, or both. 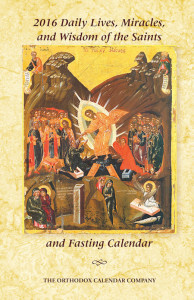 We have a wonderful calendar that we get each year from The Orthodox Calendar Company called “Daily Lives, Miracles, and Wisdom of the Saints and Fasting Calendar.” For each day there’s a quote from a saint, information about a saint or feast being commemorated that day, Epistle and Gospel readings, and information about fasting guidelines for the day/season. 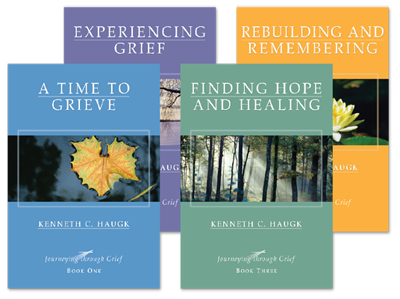 The company has a Facebook page, and the book is also available for Kindle and other eReaders. (Most) every morning, I use this book with my morning prayers, which I pray in our icon corner in our dining room. It almost always helps me focus for the day ahead. The first line of my Morning Prayers is “Grant me to greet the coming day in peace.” Another line says, “Teach me to treat all that comes to me throughout the day with peace of soul and with firm conviction that Thy will governs all.” Peace of soul. That’s one of the goals of the saints whose wisdom is offered in these quotes. Today I’ll share a few that have blessed me recently, and I pray that they bring peace of soul to you. I’m especially thinking about those suffering from the flood in Louisiana and the fires in California today. Lord have mercy! That one would be really hard for me if I had just lost everything in a flood or a fire. 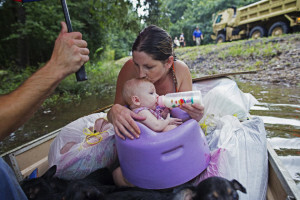 Danielle Blount kisses her 3-month-old baby Ember as she feeds her while they wait to be evacuated by members of the Louisiana Army National Guard. Because even as you have done it unto the least of these, you have done it unto Christ. 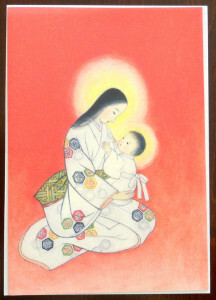 Faith on Friday: Most Holy Mother of God, Save Us! We’re in the Atlanta airport waiting for our connecting flight to Denver. I was going to skip blogging today until I realized that I’ve got a bit of time here. 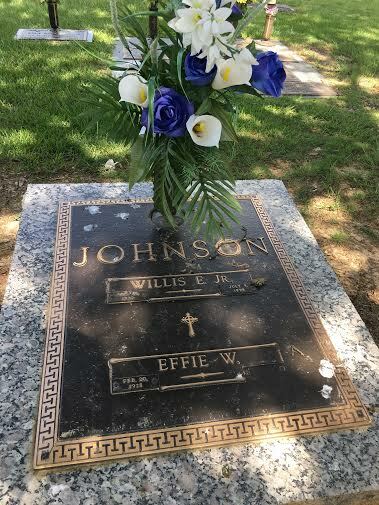 And then I was thinking of writing about Elvis and the Mother of God—who are commemorated on August 14 and 15—but then I realized that I did that last year. 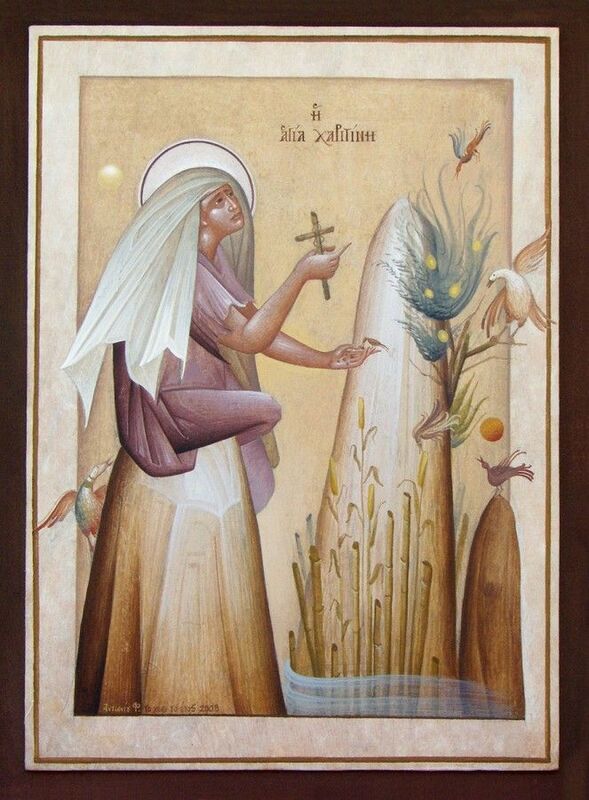 And yet the Mother of God is on my heart today. 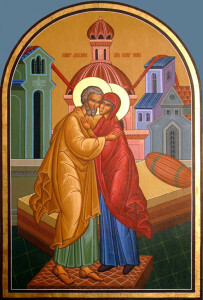 “Most Holy Theotokos, Save Us!” by Father John Breck. As we fly to Denver today to celebrate two of our four granddaughters’ birthdays and enjoy being with two of our four children and their families, I’ll be thanking the Mother of God for keeping them safe and healthy, and for the joy and blessing of having them in my life. 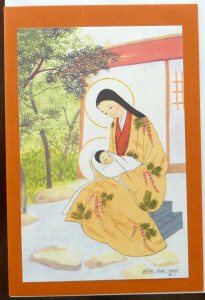 These Asian images of the Mother of God and Christ are for you, Jason, Beth, Grace, Anna, Beth, Gabby and Izzy. “Axios! 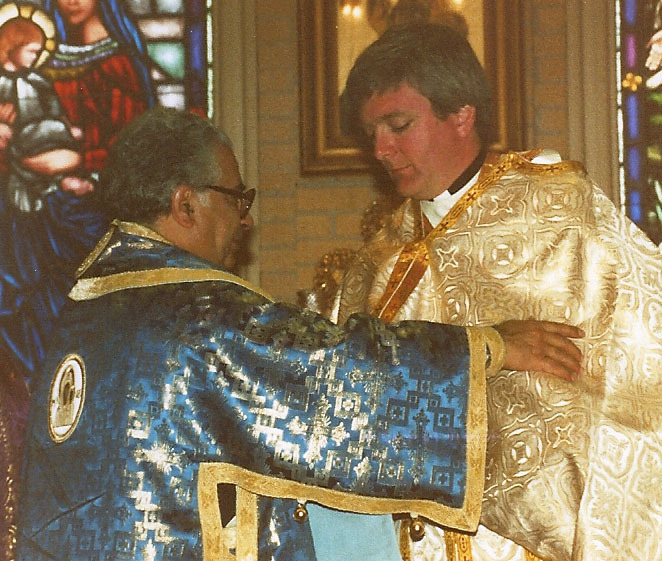 He is worthy!” Father John Troy is ordained by Bishop Antoun in March of 1987. 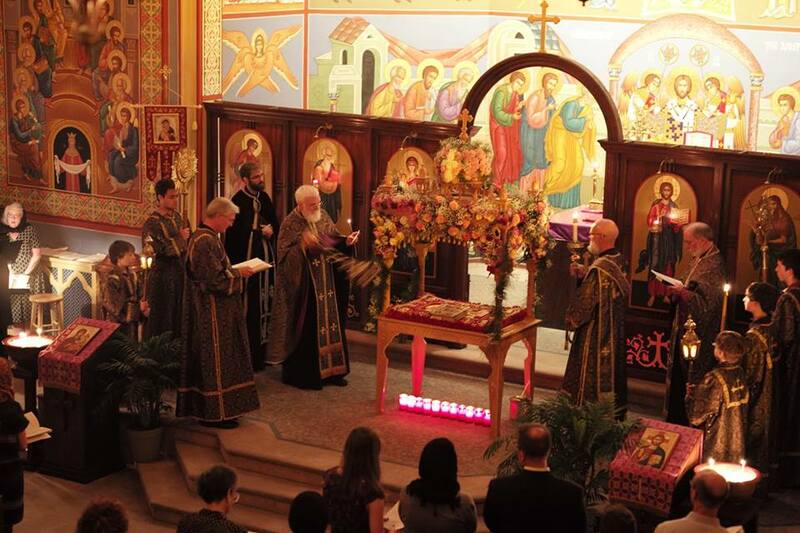 This weekend is a significant milestone in the life of our church—Saint John Orthodox in Memphis. 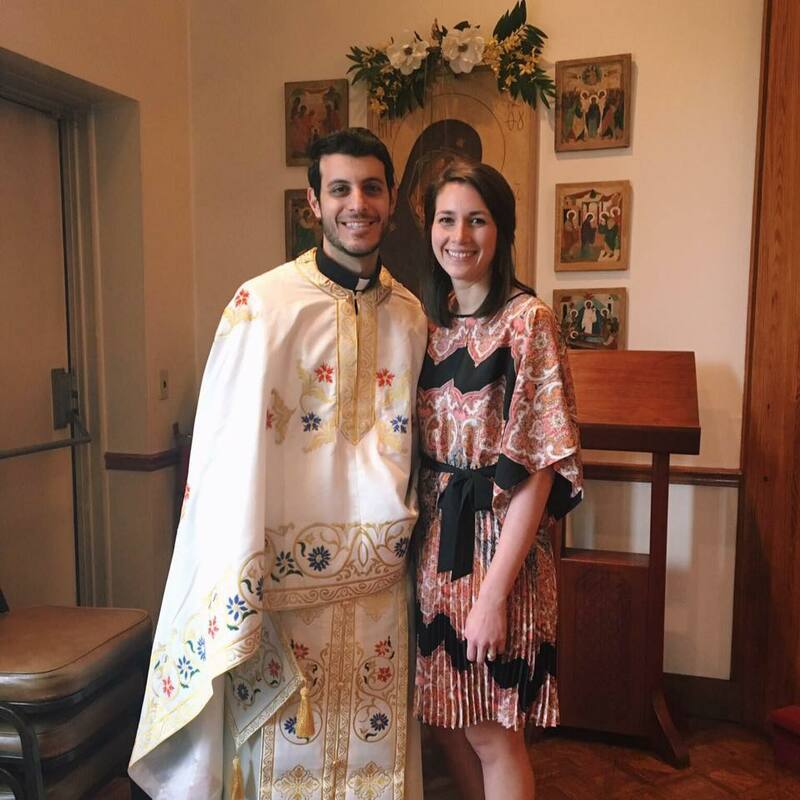 Our pastor, Father John Troy Mashburn, is retiring, and our young Assistant Pastor, Father Philip Rogers, becomes our Pastor, bringing along his wonderful wife Kathryn. 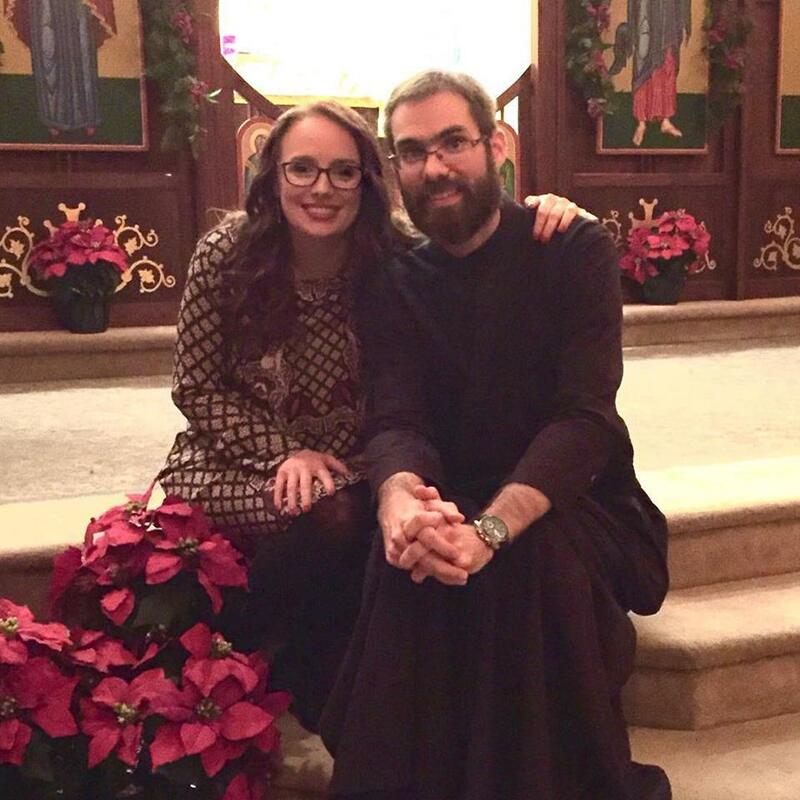 (And—icing on the cake—Father Alex Mackoul joined us this summer as Assistant Pastor, with his wife Amanda.) An ordinary passing of the baton, right? In many churches this happens every few years, or at least every decade or two. But not in most Orthodox churches. And not at St. John in Memphis. 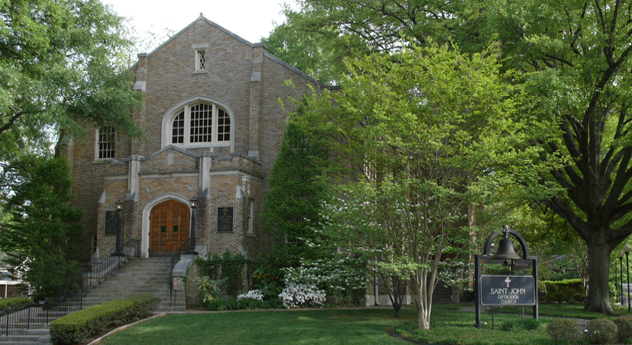 St. John started in living rooms in the early 1970s and eventually moved to the Barth House (Episcopal Student Center) on the campus of the University of Memphis, before finally purchasing its current property in midtown in 1990. Father John Troy was there from the beginning. And he was still there in 1987 when the clergy were ordained and the people were Chrismated and the group became an official Orthodox mission, and later a parish. A few years later he retired from his secular job to become our full time pastor, which he has been now for over twenty years. 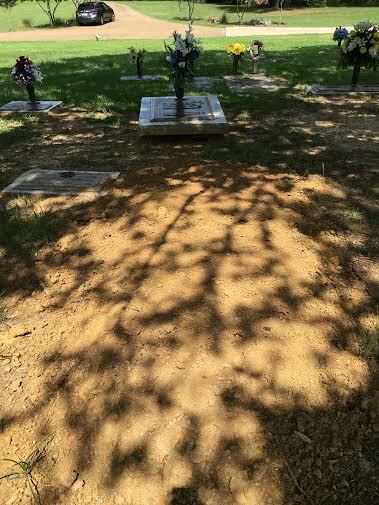 I’m not checking the dates as I write this, but I believe he has been serving this group of people for about forty five years. My husband, Father Basil Cushman, has served as Associate Pastor here since 1988, but our friendship with Father John Troy started way back in college, where the two of them were fraternity brothers at Ole Miss, and Father Troy’s wife, Pamela, and I were sorority sisters. 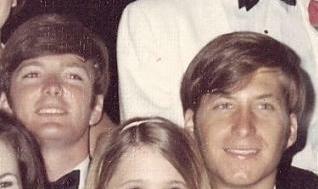 Then in June of 1970, Father John Troy was a groomsman in our wedding. As we continued our journey to Orthodoxy in Jackson, Mississippi, the Mashburns were on a similar path here in Memphis. It seemed almost inevitable that we would end up together again. 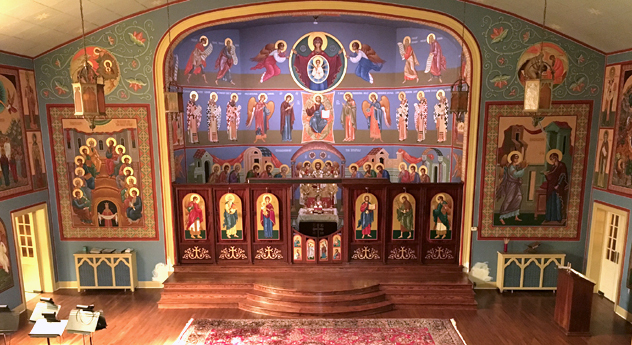 The little group of less than forty people who were the original members of St. John Orthodox Church in 1987 has grown to over 350 members today. Our beautiful old (1920s vintage) building has gradually been transformed, especially the nave and sanctuary (altar area) with its wonderful iconography and recently installed hardwood floors. And this fall we begin construction on a new building next door, which will house our new parish hall and kitchen. (We’ll start by tearing down the duplex that stands there now, which the church owns.) Our growing congregation is full of young families and lots of children—a wonderful blessing to us all. So now I’d like to wish Father John Troy “many years!” (an Orthodox blessing for many occasions) and say thank you for all you have done to help build this wonderful parish. I would love to know how many people you have baptized, Chrismated, churched and married over the years (I’m sure the accountant in you knows those numbers) and I’m sure many will join me in wishing you and Pamela many blessings as you enter this next stage of your life. I won’t go into all the ways you have helped me personally, but you know them. And even through our disagreements, I have always loved you. Kathryn and Father Philip Rogers, our new Pastor and his wonderful wife! One item I don’t remember finding in this folder in the past was the commencement speech given by my husband at his graduation in June of 1970. It was only two short weeks before our wedding, and I remember being so proud of him as he stood and gave his response to Chancellor Fortune’s remarks. He was only 21 years old. As I read his words again today, forty six years later, I’m still proud of him. He will probably be embarrassed, but I’m going to share them here. Be sure and read the final paragraph to see why his speech is included in my “Faith on Friday” post. RESPONSE to Chancellor Porter Lee Fortune, Jr.
Let me begin by saying that I identify with the establishment. But there are some basic inconsistencies within this system that have created the polarization that Chancellor Fortune mentioned a moment ago. Many people predicted that my generation would live in a world of near utopia—a world with no fear of war or hunger. And yet, we find ourselves confronted with increasingly crucial problems. Young men today are literally compelled to risk their lives in a war from which the majority of Americans feel we should withdraw. By and large these young adults are denied the right to express their views with a vote. Ironically this sounds like involuntary servitude, or, at least, conscriptive taxation without representation. Is it any wonder that thousands of young people feel compelled to create a disturbance in order that someone will listen? Unfortunately, they continue to be frustrated, being written off as “mere children” who will someday “grow up.” This frustration has persisted for so long that many young people now believe that the only way to improve our society is to present an active opposition to the existing system. This activism manifests itself in the violence we have witnessed on many college campuses today. I am strongly opposed to these violent expressions, but I cannot, and I hope you will not, categorically condemn a confused and disillusioned generation. 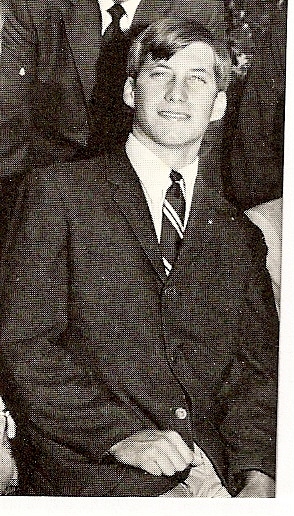 Some have said that student violence in this country began at the University of Mississippi in 1962. 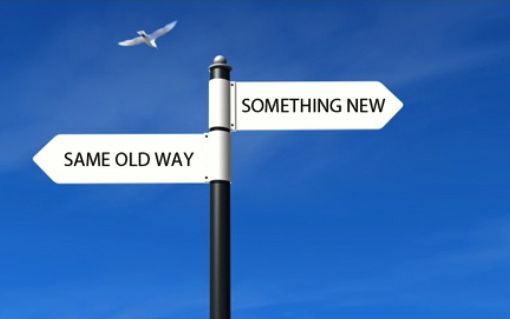 Whether this accusation is true or not, this University has matured a great deal since that time and has undergone many changes: For the most part it has not been change merely for the sake of change, but rather for the sake of definite progress in a constructive, and not a destructive, manner. Nevertheless, even our campus has not been free from the political polarization and other dilemmas that colleges throughout the United States are experiencing. What I am saying, then, is that, as graduates, we will be confronting a multitude of problems. Perhaps we will solve them, and then again, we may not. But as Chancellor Fortune has challenged, we must be individuals and seek out our own answers. The way that I have found to deal meaningfully with these problems is through what I feel to be the wisdom and love of God as expressed in Jesus Christ. This is my personal response, and it does not necessarily represent the convictions of my fellow graduates. But let me urge that each one of you honestly seek out your solution.